Your Members Are Talking … Are You Listening? 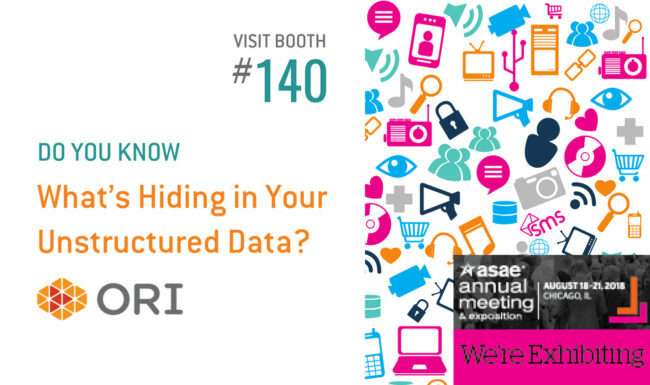 Are you making the most of your unstructured data? All of the conversations, comments, and feedback across your social media, community forums, member surveys, and conference feedback are growing by the day. They’re also your greatest source of insight into member (and, more broadly, customer) wants and needs. It gets even more interesting when you begin digging into all those Excel spreadsheets and CRM notes fields where fabulous nuggets about member insights and preferences are stored—virtually impossible to access in any meaningful way. Whether your association is leading the charge in mining unstructured data or you’re just getting started, the ORI team would love to chat about your challenges and successes. 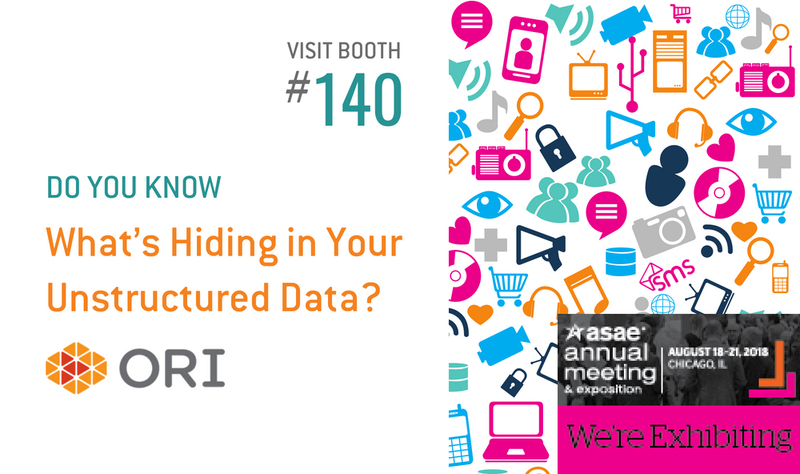 Visit ORI at Booth #140 at the 2018 American Society of Association Executives (ASAE) Annual Meeting & Exposition August 18-21 in Chicago. Tell us what you’re hearing from your members and we’ll share a few insights into the “how” behind translating your unstructured member data into dollars. Share how your association is tackling some of these challenges and test your luck in our mystery envelope contest for a chance to win a cash prize!